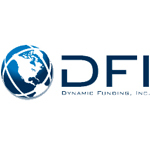 Dynamic funding provides private financing of $50,000+. If you need to lease equipment for your grow, retail store or working capital to run your business we have the financing to help you now. Washington State’s original financial, accounting and management consulting firm specializing in an exclusive professional adult-use and medical cannabis clientele since 2010.